Hello! I'm glad to meet you. I am passionate about teaching children to read, but also I am committed to helping students develop positive feelings about reading, build confidence and develop an awareness of their own learning style. I am a State of Maine Certified Literacy Specialist with more than 13 years of experience working individually and in small groups with striving readers. I am so excited to work with you and your child to open the doors of reading for your child. I believe that all children can learn to read with the right instruction. Learning to read is one of the most complicated processes children will ever learn. I believe that children are active learners and develop a complex system of reading and writing strategies through explicit instruction in phonics, phonemic awareness, vocabulary, fluency, comprehension and word solving strategies. I work on the cutting edge of a child's learning, adding just the right amount of new learning to help them progress toward the goal of becoming an independent and fluent reader. 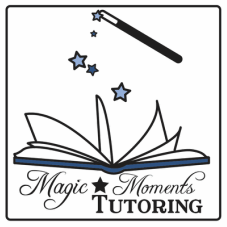 Through carefully designed individualized lessons, students will experience magic moments as they develop skills and discover the joy of reading.